O’Neill comes to Wesley Homes with a strong background in retirement home leadership as administrator for two retirement communities in Tacoma before becoming president and CEO of a community in Spokane. 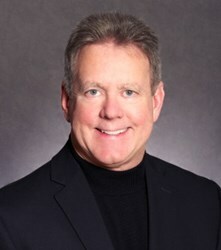 Wesley Homes Retirement Communities and Home Health Services welcomes Patrick O’Neill as the new campus administrator for Wesley Homes Des Moines. As administrator, O’Neill will oversee a 45-acre community, which consists of three apartment buildings, multiple independent living residences, assisted living apartments and a skilled nursing center. Additionally, he will be responsible for the adult day care center and Northwest Conference of the United Methodist Church buildings that are also part of the Des Moines campus. As a continuing care retirement community, Wesley Homes sought candidates nationwide who had a deep understanding of older adults as well as a Washington Nursing Home Administrator License. O’Neill has both. He also has a Master of Science with a Concentration on Health Care Administration from Central Michigan University and a Bachelor of Arts in General Studies from Northwestern State University. He has been a board member and chairman of LeadingAge Washington, board member and chairman of Hospice of Spokane, Washington State delegate to American Association of Housing and Services for the Aging, member of Nursing Home Board of Examiners and member of Rotary Club 21.